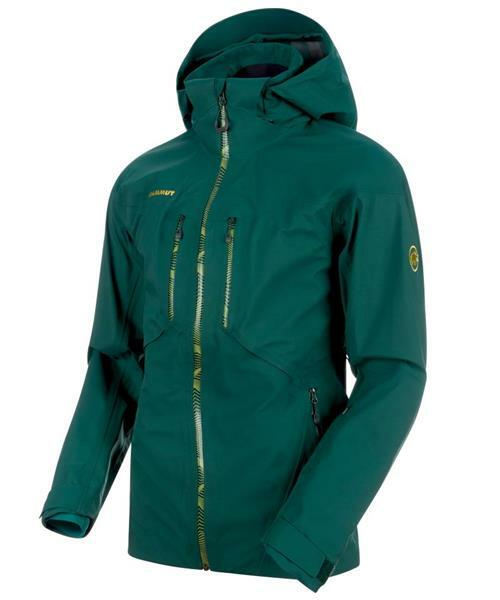 Whether freeriding or ski touring, the Stoney HS Jacket Men is water- and windproof thanks to Mammut® Dry technology. It also provides comfort and elasticity, so that you can carve your way through the snow unhindered. The hood is helmet-compatible and can be removed if needed. On the go, you can easily open the jacket even when wearing gloves thanks to the U-shaped zipper puller. You even always have your things to hand thanks to a pocket for your ski pass and a roomy internal pocket with space for your goggles. Stay on top of things in the snow.